The WM40 - 1 1/2" pulse meter from Macnaught is the medium to large capacity flow meter in the WM-Series range. These pulse meters can handle a wide range of fluid viscosities with excellent repeatability and durability. WM40 - 1 1/2" flow meters can be mounted horizontally or vertically; and no flow conditioning is needed. They are compact in size and they have two independent pulse units which can be linked to allow doubling of the pulse output. 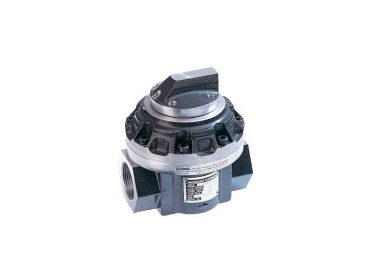 They feature low pressure drop which allows for economical pump selection or gravity flow applications. Flow Meter construction enables fast and easy on-site servicing without removal from application. Meter design minimises the number of wearable and replaceable parts and also extends the product life.